Welcome to the 2014 Smashwords Survey, our third annual survey that reveals new opportunities for indie ebook authors to sell more books. 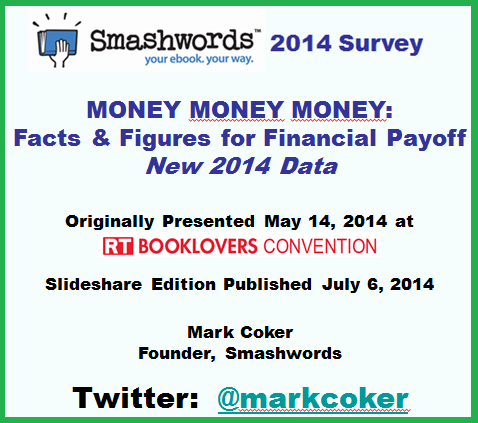 As in prior surveys (view the 2013 Smashwords Survey here and 2012 Smashwords Survey here), we examined aggregated retail and library sales data of Smashwords books and then crunched the numbers based on various quantifiable characteristics of the book. For this year's survey, we examined over $25 million in customer purchases aggregated across Smashwords retailers including Apple iBooks, Barnes & Noble, the Smashwords.com store, Sony (now closed), Diesel (closed), Oyster, Scribd, Kobo, public libraries and others. This year, we break new ground with more data, including survey questions that explore preorders and series, two categories of inquiry that weren't possible in prior years. These latter two categories were enabled by Smashwords' introduction of ebook preorder distribution in July, 2013 and our new Smashwords Series Manager feature which allows us to capture, analyze and share the performance of series books. The goal of the survey is to identify Viral Catalysts. I first introduced the concept of Viral Catalyst in 2012 with the publication of my free ebook best practices book, The Secrets to Ebook Publishing Success. A Viral Catalyst is anything that makes a book more discoverable and more enjoyable to readers. The underlying premise of my Viral Catalyst concept is that Viral Catalysts help drive reader word of mouth because they increase reader satisfaction. Although every author would love to learn the single secret fast track magic bullet to bestsellerdom, there is no such single secret. Ebook bestsellers become bestsellers based on multiple Viral Catalyst factors starting with book quality but also influenced by cover design, breath of distribution, pricing, marketing, luck and myriad other factors. In the Smashwords Survey, we seek to identify potential Viral Catalysts that are quantifiable and therefore measurable. 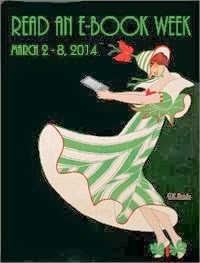 The initial survey results were first revealed at the RT Booklovers convention in New Orleans on May 14, 2014. The updated Slideshare edition of this presentation includes more data, charts and analysis than was presented in New Orleans. New (added July 7) Non-fiction earns more at higher prices - For the first time we added new data for non-fiction pricing. We looked at the most common price points for indie non-fiction, the price points that earn the most downloads, and the price points that earn the non-fiction author the most money. The results are fascinating. It's not a surprise that non-fiction readers respond differently to price. The surprise is how differently. Non-fiction buyers are less price-sensitive. After crunching the numbers it appears as if most non-fiction authors are under-pricing their works, and they should experiment with higher prices. For many of the slides, I added analysis to help you interpret the findings. This analysis is my own interpretation. You may view the findings differently, or see things I don't see. Or you may strongly disagree with my interpretation. That's okay. Be cautious. Most of the survey results are based on averages. Your book is not average. It's unique. Therefore, your results will vary. The findings aggregate the results of many dissimilar books, which means the findings are prone to misinterpretation and error. The findings are also potentially skewed by factors such as genre (romance dominates, which means our data will more closely describe potential outcomes for romance or genre fiction than it will for non-fiction how-to manuals), or by the fact book sales at retailers are heavily skewed to fiction. As I caution on Slide 25, cause and effect is not always provable. The forces that determine a book's sales performance are often multi-dimensional, synergistic, opaque, delayed or simply not apparent. Correlation does not always mean causation. For example, although we show that the highest-earning books were priced at $3.99, the price alone is not the reason those books were bestsellers, and you should not necessarily jump to change all your prices to $3.99. Although the bestselling books tend to be over 100,000 words, readers don't purchase by length alone, so don't write longer if the story doesn't demand it. Consider our findings as possible inputs that influence the outcome. Do not make publishing decisions solely based on the findings in this survey. Instead, use these findings as an additional datapoint - as potential clues - that will help you make more informed decisions. Also note the findings will raise additional questions. As I was digging through the data for preorders, for example, I found myself wanting to dive deeper to explore such questions as, do sales decay over time, how do new releases impact the sales of existing series books, and how is the sales behavior across different genres different? Although this survey shares more data than ever before, I found that the more questions I asked, the more I wanted to ask. There simply wasn't time to build all the queries I wanted, or time to crunch and analyze all the numbers. I look forward to sharing more in 2015 if not earlier. If you found the survey results useful, won't you please share with your writer friends? 2. Click the "Embed" link. 4. Open you blog post and past the HTML code into your composition window. What is most interesting to me is that big novels sell best. For decades the major publishing houses didn't want anything over 300 pages (unless your name was Stephen King or J. K. Rowling) because they took too much time to evaluate and edit. Plus, they were more expensive to print. Then came Smashwords to unleash self-publishing, and sure enough, readers love longer books as much today as they did in the past. The big publishers have been caught with their pants down and are now re-evaluating. Just emphasizes how clueless and out of touch the big boys are, how they have strangled the marketplace and why they are struggling to keep up. Right, David, it's an interesting example how publishers were making decisions based on the limitations of the print format (expensive to print, bind, ship, stock) that weren't aligned with reader interests. There are probably multiple reasons readers prefer longer books. Possibilities include: 1. Value in terms of hours of reading for the cost. We know readers are price-sensitive, so it's not a leap to assume that some readers are performing these value calculatings as part of their purchase decisionmaking. 2. More reading. If a writing is great, more time in the story means more happy reader endorphins. 3. More reading time also means great writers have more time to build that all-important trusted relationship with the reader. 4. Accessibility and convenience. If you're about to jump on an airplane, the shorter lighter book has no advantage in the digital world. Thanks for the Data Mark. Very interesting stuff to consider. Personal experience is often a good clue to how readers may respond. For print books, I find that the price is already a good clue to the length. For ebooks it isn't, so the longer a $2.99 ebook is the better. If it proves good, I've gotten more for my money. If not, I've lost no more than if it had been short. Digital is now shaping how long my print books are. Before, publishing POD, I'd try to keep my page count down, so I could keep the print cost low. With the growth of digital, I find I'm actually including more material, particularly when it'll push the page count over 200 pages. Going over 200 pages strikes me as being like these X.99 prices. A book that's 204 pages long isn't really that much longer than one that's 196 pages, but it seems longer. Maybe readers feel the same. One aspect I have found with free books - no doubt would be the same with priced books, is that longer books could in many, many cases be vastly improved by reducing wordage by 20-30%. This is especially so with USA-based writers who tend to 'fill-up' their books with ancillary fluff that does not contribute to the plot nor especially to the scene setting. Thank you for the post - once again you have your finger on the pulse of what's happening out there. Also, as a writer of big books, it's good to know that contrary to what the old school print publishers keep saying, large volumes do sell well. Thanks, Mark. Great information, as always. I appreciate the data you share and try to use it as best I can. Looking forward to tweaking my strategy based on this. Thank you for your refreshing honesty. The data is valuable, your warnings even more so. This encourages looking out 5 or ten years if you are not a best-seller. As a top 2,000 author you may not have a liveable income now, but you are being read. If we Keep producing and improving we may get lucky too; finding that spark that lights the fire. In the meantime we can enjoy writing. That's a win. Very useful article. As I 'm drawing closer to completion of my non-fiction sequel to my first book, you've given me lots to consider here, especially in the area of pre-orders and pricing. Thanks Mark. 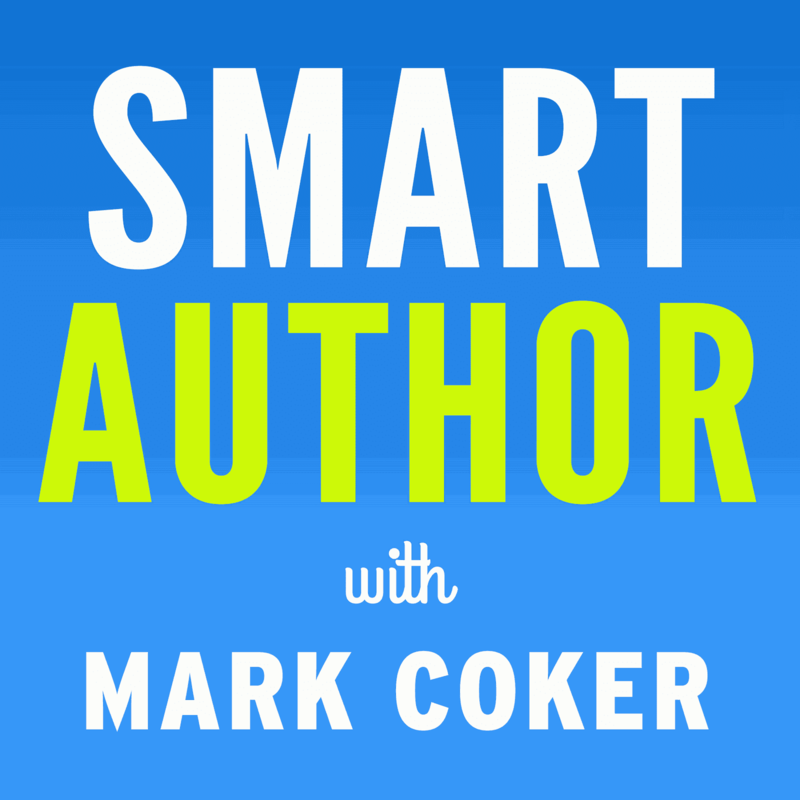 Terrific information for authors, Mark, especially since it confirms longer ebooks sell best. I've added information on the Smashwords Forum. As usual, Smashwords provides useful insights into how the publishing world is evolving. However, as Mark Coker on slides 7 and 8 of the presentation shows, there is an important 4th leg to stand on when it comes to modern publishing - and that is marketing. The insights into pricing and using pre-orders is valuable, but what I would like more from the survey next time is lessons or advise in helping promote and market your book. In this there are articles like http://www.kindlebookreview.net/NEWSURVEY_SELFPUBLISHING.html which are more helpful. They show the most popular tips for helping promote your book from improved book covers to getting a decent amount of reviews for your book. I think this is what indie authors appreciate most: tips for helping promote your book. Lastly, having over a 100 slides to wade through is a little heavy. Like the above mentioned site, coming out with a white-paper of about 25 pages covering all the main take-aways with a little detail would have been nice. Hey, I would even be willing to purchase it if available in Smashwords. Couple more observations. First, those words from you, Mark, "...every writer deserves the right to publish…," mean the world to me. I went for decades with agents and publishers shunning me. The only people who appreciated my work were academics. And the abuse of position was rampant. I had one high-profile New York agent who kept one of my novels exclusively for nine months, claiming her readers we very complementary and that she'd get to it shortly. She rejected it with a form letter, no apology for long wait. Another agent dropped a different novel after Jason Epstein rejected it. These novels are now free and thousands have downloaded them through Smashwords and other booksellers all over the internet. Which brings me to my second point. For many of us, readership is the most important. So very, very few of us are going to make enough money off our writing to change our financial lives. It has always been this way. But why not have a readership anyway? Put your books up for free, and they will find an audience. All the traditional publisher's axioms are dissolving under the weight of contrary evidence. "The best writing always floats to the top and gets published.” What a bunch of bologna. Thanks to Smashwords for shattering the shackles traditional publishing had on both writers and readers. Hey David Sheppard, I very much enjoyed both your posts. Thanks for sharing. All these comments are great today. Hey Mark, are you kidding me with this stuff? The numbers are fabulous to know and contemplate but above and beyond their marketing relevance, what they -- and you -- are is inspirational. Gas for my indie engine. New Jersey is the only state I know of that doesn't let you pump your own gas. I think somewhere in your soul you're a Jersey boy filling us up on the Turnpike. In two places recently I read that books should be shorter. "Short is the new long" one blogger wrote. This was agreed to in Anne R. Allen's blog and also by Author Marketing Experts. Who's right? Phyllis - i think shorter implies a better quality of writing - yes there are excellent long epics out there, but often books that could easily have 20,000 words cut without impinging on the plot or sense of place. But stats seem not to lie - and maybe in a world of XXL and jumbo, size does matter? @stephanie, thanks for stopping by my friend! You reminded me that I forgot to put some of the NF slides in here! The presentation is now updated with three new slides on pricing: NF price point distribution, NF unit downloads by price band, and NF earnings by price band. Interesting results! BFuniv, thanks for making that important point. Although all indies appreciate making a buck, it's important to realize there's a joy in writing and publishing that can't be measured by dollars, and it's this joy that propels indies forward. If writers throughout history only wrote for money, there'd be very few books in the world. @Richard, I'd love to include marketing data in here but it's not something that can be easily quantified with numbers. It's both a limitation and advantage of this survey that it's number-driven. Yes, it's long. If I had an extra 100 hours over the last couple months, I would have made it even longer because there's a lot of great questions I didn't have time to ask. To save people time, I tried to capture and summarize the most important findings in the blog post above. David, thanks for sharing the story of your journey and for adding your perspective on the importance of readership. It dovetail's nicely with BFuniv's point as well. @Phyllis, six years ago when I started Smashwords I was confident that shorter works would sell better, if for no other reason than my supposition that ebook readers would be on the go and distracted by all the other things on their screen. I was wrong. We've now got three years of survey data that shows readers' strong preference for longer works and they're voting with their dollars. When you overlay the power curve on the charts, it really illustrates the earnings advantage that longer-form has because those top sellers are selling so much more than everyone else, and long-form is almost a universally common trait of the top sellers' books. In the end, though, it probably really depends on what you write. Maybe in future studies we can delve deeper into categories. Who knows, we may discover there are certain categories or genres that do better shorter. I admit to being torn on the whole free or .99 for my first ebook. At first I planned to offer my first book free until I noticed just how hard some book sites (kobo and amazon from personal experience) make it to actually get search results back that include free books. It was then I decided to offer my first book at .99. I wonder if the drop in advantage of free books might be because of this issue? Hi Sandy. Amazon has always been tight with free, even when free was hotter than it is now. They prefer to hold it out as a carrot for authors who go exclusive with them. Now that they've got so many books in their exclusive program, the competition is much higher that that's another factor. I'd encourage you to experiment with it for a month or two and see if it makes a difference. For some authors, it's a magic elixir and for others it does little to nothing. Thanks so much Mark and the Smashwords team. My second book is almost done. For sure I will make the first free and see what happens. Thank you Mark for the comment and Smashwords. I'm taking part in the July sale, my first book is currently free and my second (which I just added this weekend) is half off. So we will see what happens. One other question not directly answered by the survey. How do bundles (where you take three or four shorter works and combine them into a single volume at a lower price then you could have gotten them separately) sell? Sandy, it's not something we looked at in the Survey. Sounds like you're talking about a single-author collection. From a value-perspective, it'll be appealing to readers. We're seeing much bigger results with multi-author box set bundles. I'd encourage more authors to do those. Any suggestion as to how to get involved with a multi-author book set? I think there's something here about the one-author bundle that can help address the short versus long debate. I'm starting a series of novellas that are in fact a 200k novel, just sending them out as four shorter books over time. So it IS in fact a long tale, but my micro-publisher is trying to take advantage of the series view, will make the first one free later on, etc. Another consideration is the a-book, where I think it's clear readers need shorter lengths (to handle on a daily commute and so forth). So even though you want to target a longer overall length, you need to keep your eye on making it modular, with frequent breaks suitable to that format. All this leads to tremendous variety, which Mark has always championed, and of course to more questions he can ask on the 2015 survey! While I am a huge fan of Smashwords I am in no hurry for Smashwords to do a distribution deal with Amazon. I will continue to publish to SM and Amazon separately. Why? One reason: Amazon pays monthly. I have monthly bills and can't afford to have Mark Coker sit on my Amazon money for three months. I love Smashwords! Thanks for sharing this, Mark! I released a story over 3 separate volumes last year (3 full length books) and it sold really well (in that it totally exceeded my expectations!) Then, I bundled all 3 into one in November and made a 'boxed set'. This took off well too, and is still selling (not many, but still ticking over). Interestingly, despite the boxed set being good value compared to buying all 3 separately, I still get some sales of the individual books. Thanks again - things like this are so helpful! I can see that longer books are likely to sell better to adults, but what about children's titles?Personally, I find today's youngsters (including teenagers) show a shorter attention span than in days of old. I would be interested to discover what the figures say? Thanks for the data though, always useful when writing or marketing new titles. Found your report on PublishersWeekly. Great info. Speaks loads to our industry. I recently noticed, especially in non-fiction of well known authors, their ebooks are now being priced the same or even higher than the print books. Will be passing it on to all my clients. Thank you for your diligent efforts Mark.